After performing the analysis of truss model, the strength evaluation results of nodal zones (concentrated node) can be checked ‘Nodal Zone (Concentrated Node)’. Concentrated nodes are likely to fracture compared to smeared node, so detailed check is needed. 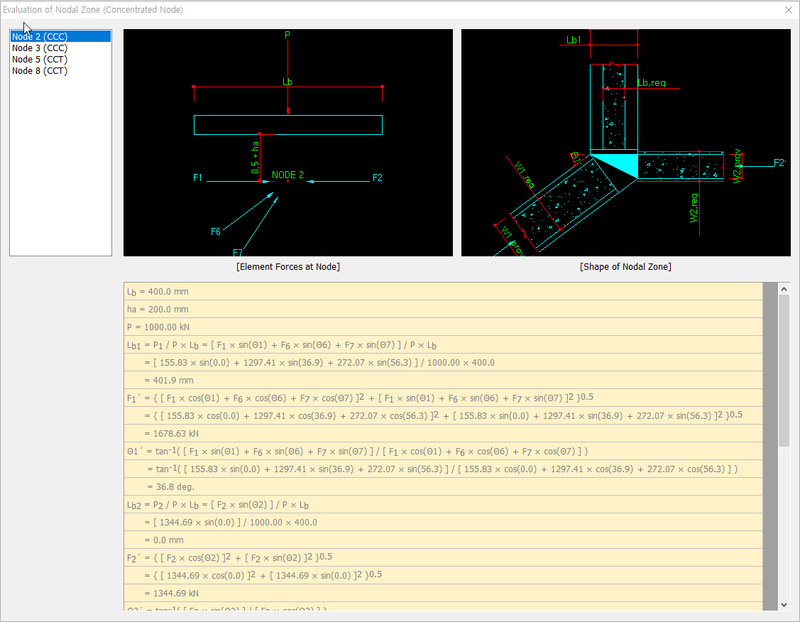 The ‘Nodal Zone (Concentrated Node)’ consists of two graphic windows and one calculation window, showing the element forces at node, shape of nodal zones, and strength evaluation results, respectively. The shape of a nodal zone is largely determined by two constraints. 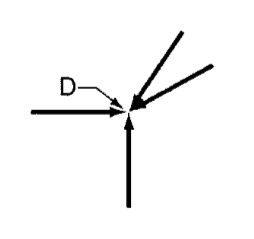 The first constraint is that all action lines of struts and ties, as well as any external forces, must coincide. The second one is that the widths and relative angles of the struts and ties determine the nodal zone geometry. 1) The shape of a nodal zone is determined by the intersection of the stress fields that are framed into the nodal zone. 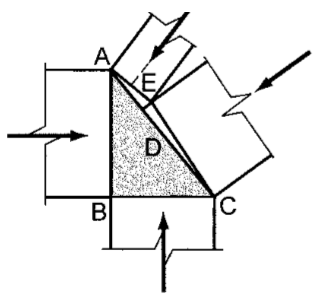 The boundary of a nodal zone does not necessarily need to be perpendicular to the strut, tie, or bearing plate. It is assumed, however, as shown in Fig. 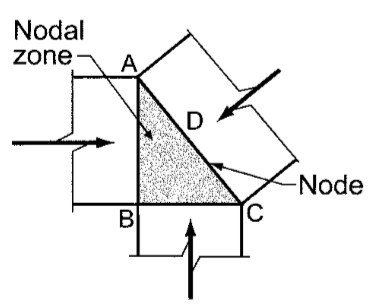 1, that there is another stress field which affects only the shape of the nodal zone, by expanding the cross-sectional area of a steel tie to the opposite side of the node. 2) When more than three elements are connected to a node, the cross-sections of all elements that are framed into the node, instead of the three representative elements, as shown in Fig. 2(b), need to be considered, as shown in Fig. 2(c).